Families on Hawai‘i Island and O‘ahu will soon be surveyed by SMS Research & Marketing Services on what they are paying for rent. The Hawai‘i Housing Finance and Development Corporation (HHFDC), Hawai‘i Public Housing Authority and Counties of Honolulu and Hawai‘i have commissioned the survey. The U.S. Department of Housing and Urban Development (HUD) annually publishes Fair Market Rents based on data from the U.S. Census. HUD’s Fair Market Rents are used to set pricing for many federally subsidized programs, including Section 8 Housing Choice Vouchers, that help low-income families obtain and keep safe, decent and sanitary housing. Proposed HUD 2018 Fair Market Rents will decrease from 2017. The information collected will be used to support the state’s request to HUD to re-evaluate the 2018 Fair Market Rents for O‘ahu and Hawai‘i Island. The rent surveys will be mailed to selected households and be short. Non-renters need only answer one question, but the agency is asking everyone to answer the survey for accurate results. The data will be not used for any other purpose and kept strictly confidential. Only county-wide average rents will be reported to HUD and individual responses will be destroyed at the end of the project. Hawaiian Airlines has added three extra roundtrip flights from Honolulu to Kona, Lihue and Kahului on the afternoon and night of Sunday, Nov. 12, in anticipation of high passenger traffic resulting from Island Air’s shutdown. The new flights are: Flight No. 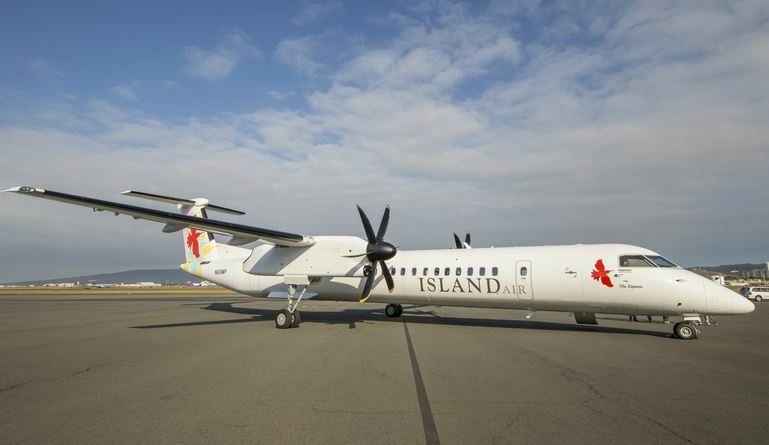 Island Air has been working to connect its team members with prospective employers as the company prepares to cease operations at midnight tonight, Friday, Nov. 10. Island Air hopes to compensate its employees in full for the work performed through Friday, Nov. 10, 2017; however, the final determination will be up to the Bankruptcy Court Trustee. The employees’ existing healthcare insurance benefits will expire on Thursday, Nov. 30, 2017, at the earliest. Island Air officials have been in communication with businesses around the state that have expressed interest in assisting the employees. In addition, Island Air is working with these and other prospective employers to schedule a job fair for the employees in the near future. Uchiyama noted that businesses, including other airlines, hotels, healthcare providers and other industries, have reached out to Island Air to provide information about potential employment opportunities as well as to inquire about the skills and qualifications of the impacted employees. “I am so proud of the professionalism and integrity of our team members as they focus on providing our passengers with the Island Way experience on our final day of operations,” Uchiyama added. Also today, Island Air employees met with representatives from the state’s Workforce Development Branch to begin the job transition process. Employees on O‘ahu attended three separate meetings with the Department of Labor and Industrial Relations’ (DLIR) “Rapid Response Team” to learn about job placement and training assistance, as well as applying for unemployment insurance and other benefits. Rapid Response Team meetings for employees on the Neighbor Islands are being scheduled. “We appreciate the assistance the Department of Labor and Industrial Relations is providing to our team members during this difficult period,” said Uchiyama.